Support for this lidar was first made available in available in Copter-3.6, Rover-3.3, and Plane-3.9. Support the 4m ST VL53L1X will be released with Copter-3.7. 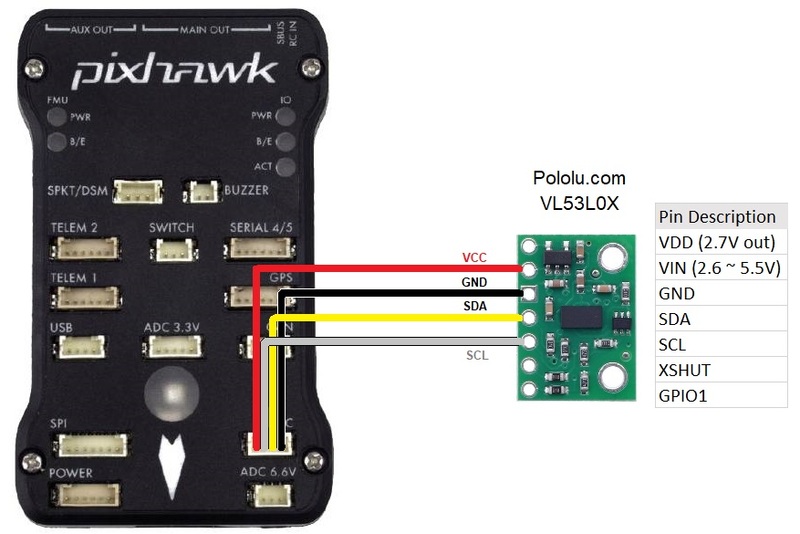 Connect the VCC, GND, SDA ans SCL lines of the lidar to the I2C port on the flight controller as shown below. RNGFND_ADDR = 41 (I2C Address of lidar in decimal). 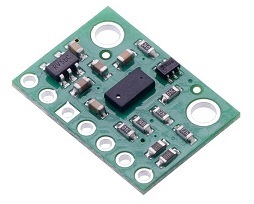 The sensor’s default I2C address is 0x29 hexademical which is 41 in decimal. RNGFND_MAX_CM = 120 for the VL53L0X, 360 for the VL54L1X. This is the distance in cm that the rangefinder can reliably read. 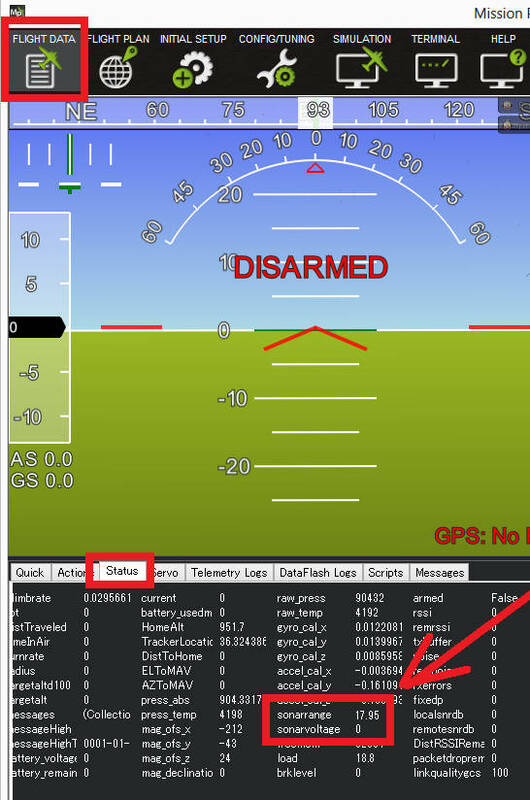 RNGFND_GNDCLEAR = 10 or more accurately the distance in cm from the range finder to the ground when the vehicle is landed. This value depends on how you have mounted the rangefinder.